Pour all of the the glue into the mixing bowl. 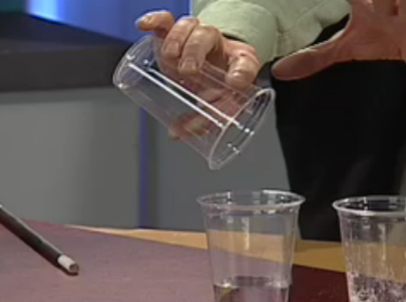 Pour all of the water to the mixing bowl with the glue. Stir the glue and water together. 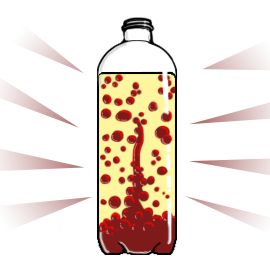 Add your food color now – about 6 drops should do it. Now add the liquid starch and stir it in. 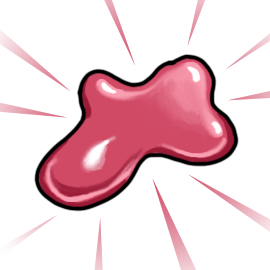 It should be nice and blobby by now. 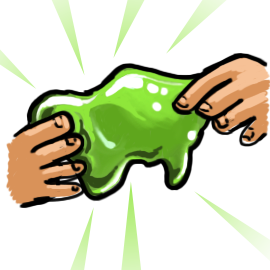 As you play with your slimy concoction, it will become more stretchy and easier to hold. Explore your slimy creation and store it in a zip bag when you are not using it. 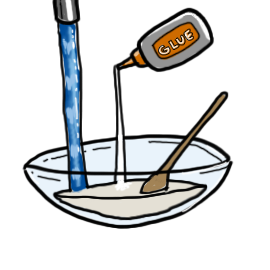 The glue is a liquid polymer. This means that the tiny molecules in the glue are in strands like a chain. When you add the liquid starch, the strands of the polymer glue hold together, giving it its slimy feel. 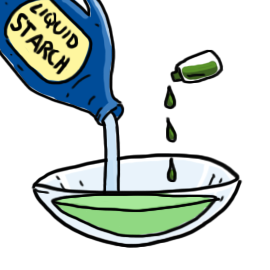 The starch acts as a cross-linker that links all the polymer strands together. 1. Does changing the amount of water or glue change the feel of the slime? 2. 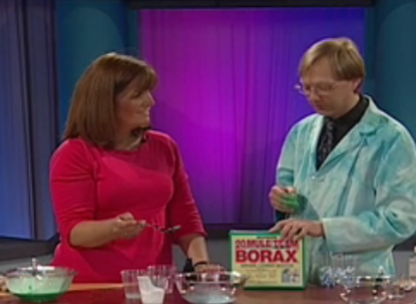 Do different glues make better slime? 3. How does changing the amount of each ingredient change how the slime turns out? 4. 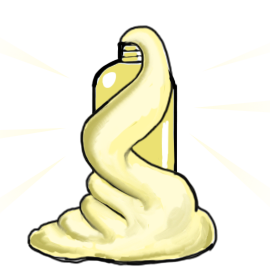 What happens to slime if it is stored out of a bag compared to in a bag?